And generally, we attribute the name Marvel to everything they published beginning in 1961, with Fantastic Four #1. The "Marvel Comics Group" name from the way Goodman bundled his comics. 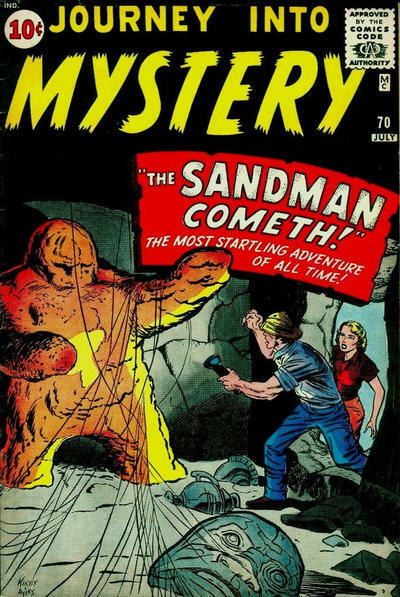 If a newsstand wanted to buy Fantastic Four, for example, they also had to purchase Journey into Mystery, Strange Tales, and Tales to Astonish among others. A retailer might order the Romance Comics Group, the Westerns Comics Group, or the Marvel Comics Group. Comics under this Marvel grouping were identified on their covers by an "MC" and you can see that on some pre-FF #1 covers. 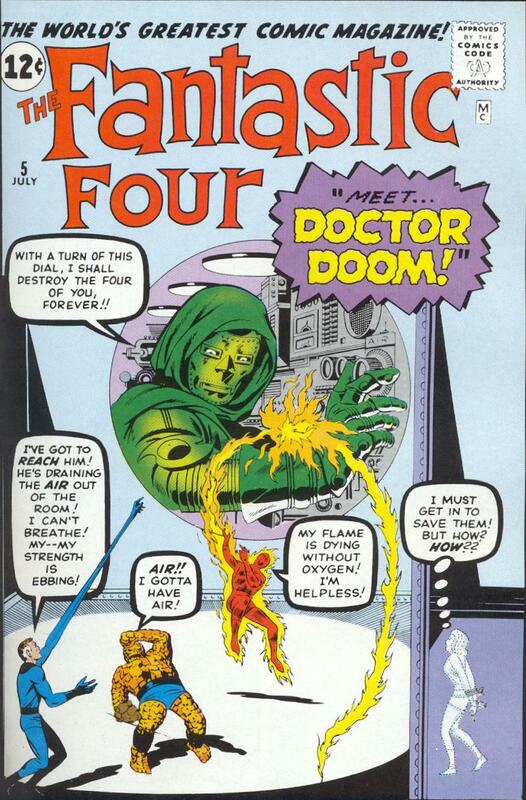 But my contention is that Marvel Comics, as we know it, really didn't start until Fantastic Four #5 featuring the debut of Dr. Doom. The first two issues of the FF are still, at heart, monster stories. The Mole Man in #1 is a grotesque figure that commands an entire island of giant monsters, and the Skrulls in #2 are part of a fairly run-of-the-mill alien invasion story. Issue #3 does feature the debut of superhero costumes, and a sort-of-super-powered villain in the Miracle Man. But it still features a giant monster -- and while some have argued that the Human Torch's burning of said monster is a metaphor for moving away from monster stories in general, we still find another monster in #4 that Sub-Mariner draws from the ocean's depths. But issue #5 is the first issue that does NOT feature a typical Atlas monster in any way. The villain here is Dr. Doom and he actively seeks out the heroes to draw them into his plan, and isn't just throwing around some vague threats. It's the first story where there's a plot beyond white hats versus black hats. So since a lot of what people are assigning as the "start" of Marvel Comics is arbitrary anyway, I say why not base it on what's actually important in all this: the stories.